The Conservatives are warning Prime Minister Justin Trudeau to brace for huge backlash — including tactics to stall the release of the budget — if the Liberal majority on the House of Commons justice committee blocks Jody Wilson-Raybould from testifying again. 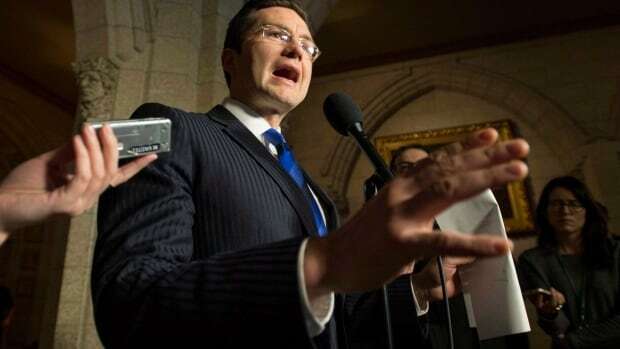 “We as Conservatives are going to use every parliamentary tool in the toolkit to end the coverup and let her speak,” finance critic Pierre Poilievre told reporters on Sunday, speaking about the ongoing SNC-Lavalin affair. The Conservatives are set up to potentially trigger a marathon voting session in the House of Commons on Monday that could delay the tabling of the budget. They have put forward opposed votes on previously announced federal initiatives, each of which would necessitate a vote in the House. They have tabled 196 opposed votes. Because of the sheer number of votes, the sitting of the Commons could be extended overnight — similar to what the Conservatives did last March in retaliation after Liberals opposed having Trudeau’s national security adviser talk to committee about his India trip. If the sitting gets extended, it could potentially delay the budget. “All eyes should be on those closed doors at the justice committee meeting,” Poilievre said, when asked if the Conservatives would force the votes to interrupt budget day. If the Liberals vote down Conservative and NDP attempts to have her return, the Conservatives could force that long list of votes..
Liberal MP Francis Drouin, who triggered the sudden adjournment of the meeting, insists there’s been no attempt by the government to coverup the SNC-Lavalin affair, and says it’s time to turn the page on the controversy.